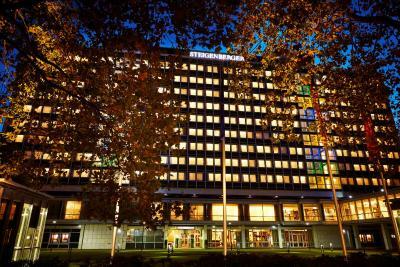 Lock in a great price for Steigenberger Hotel Köln – rated 8.7 by recent guests! The breakfast was good an the eggs awesome. The bedroom was good, but we ear lot of noises. 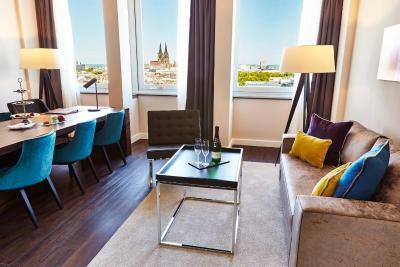 Room was very comfortable and near the city center. There is DM supermarket nearby, so it's very convenience. Breakfast if very nice. All trip members were happy with the services. I love the hotel decoration and the food also the hotel location which is very central to close to all public transportation also to the shopping areas, but the most thing I really loved is the hotel staff, it was one of my best ever experience for checking in and checking out, also during my stay, I should Congrats the hotel HR and management for their professional choosing of their staff, I definitely will go come back again to the hotel, thank you very much! The staff were super friendly, good location to start your day . 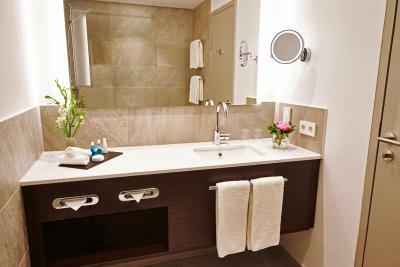 It was very pleasant and comfortable, would visit this hotel again when in Cologne. Breakfast was excellent. Well cooked and plenty of choice. Room was lovely, clean a good size. Service was welcoming and friendly. 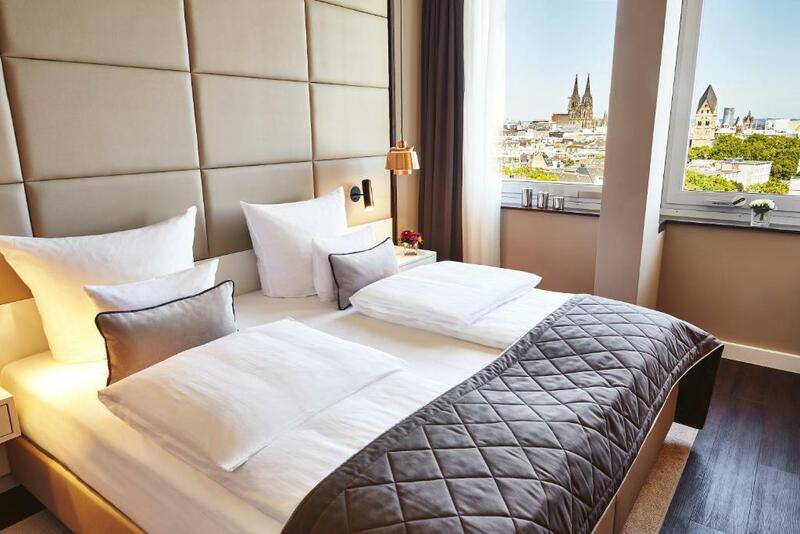 Steigenberger Hotel Köln This rating is a reflection of how the property compares to the industry standard when it comes to price, facilities and services available. It's based on a self-evaluation by the property. Use this rating to help choose your stay! 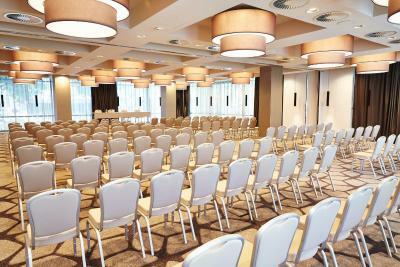 Offering spacious rooms with view, a restaurant with buffet breakfast, and free WiFi access in all areas. 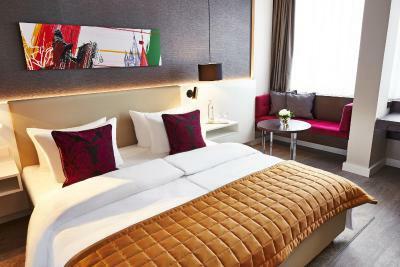 This 4-star hotel in Cologne stands on Rudolfplatz Square, just 650 feet from Hahnentorburg Castle. 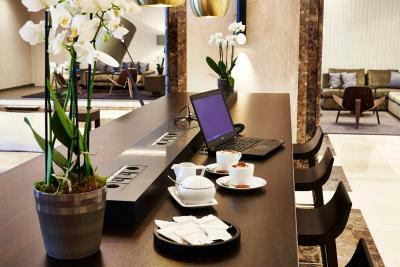 All air-conditioned rooms feature satellite TV, a desk, a safe, a mini-bar and coffee- and tea-making facilities. Local telephone calls are free. 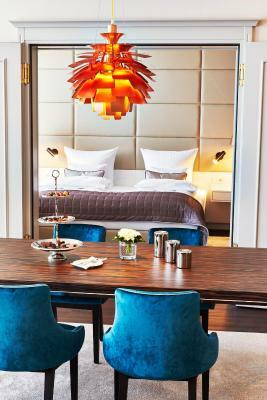 Many rooms enjoy great views. 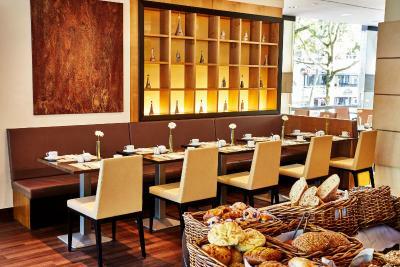 The restaurant "Sands" offers buffet breakfast in the morning, while the Bar Bistro "Nullzwo" serves a variation of snacks and drinks. Rudolfplatz Underground Station is directly beside the Steigenberger Hotel Köln. 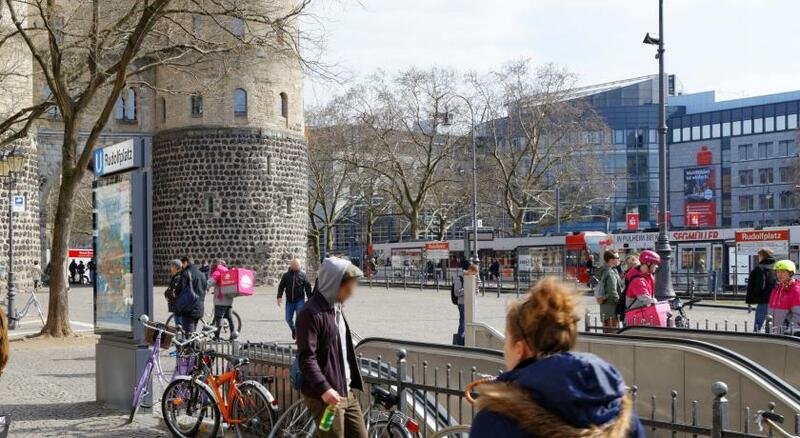 Cologne Cathedral is 10 minutes away by underground. 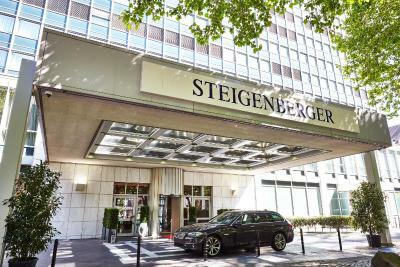 When would you like to stay at Steigenberger Hotel Köln? 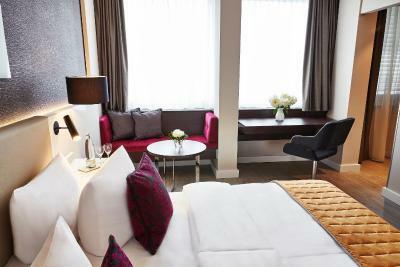 This twin room has air conditioning, satellite TV and seating area. 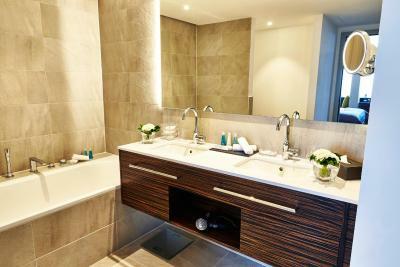 This twin room has a tile/marble floor, seating area and air conditioning. 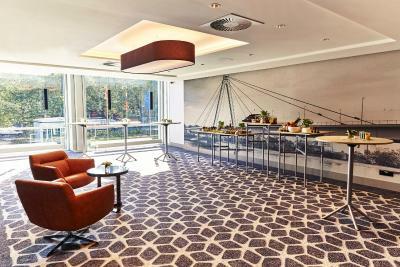 The Steigenberger Hotel Köln is a listed building located in the centre of Cologne, right next to the Hahnentorburg and just a few minutes away from many historic attractions. 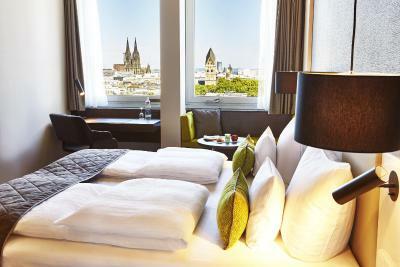 An ideal city break location for visitors and as well business travellers, who will love Cologne's cultural diversity and enjoy the city's contemporary urban scene. The hotel is within easy walking distance of the most important museums, the best-known breweries and, of course, the world-famous Cologne cathedral. 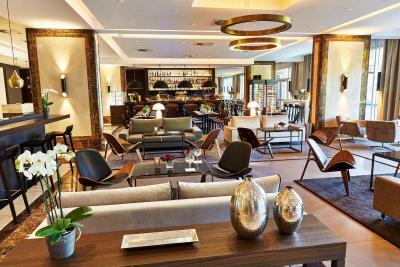 In 2016 the hotel was extensively renovated. 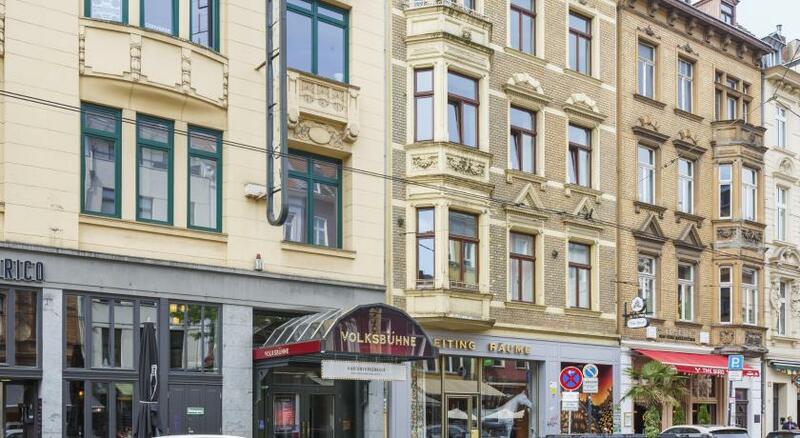 Hotel surroundings – This neighborhood is a great choice for travelers interested in friendly locals, atmosphere and museums – Check location Excellent location – show map Guests loved walking around the neighborhood! 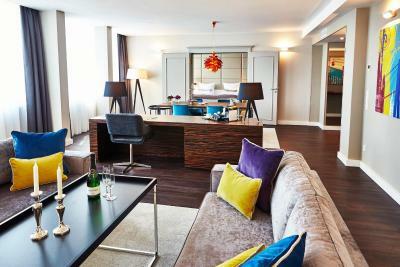 House Rules Steigenberger Hotel Köln takes special requests – add in the next step! 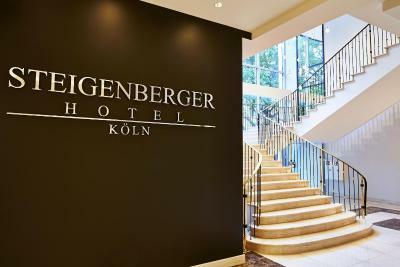 Steigenberger Hotel Köln accepts these cards and reserves the right to temporarily hold an amount prior to arrival. Please note that smoking is only permitted in designated areas. 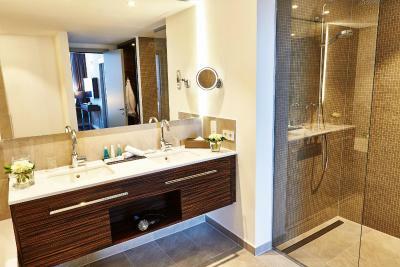 If you smoke in your room, the hotel will impose a fine of EUR 250 to cover special cleaning. Very well located, at least for us as we were doing business one block away. 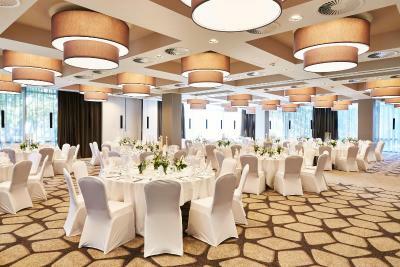 Also I liked the room, nice space and lots of light. 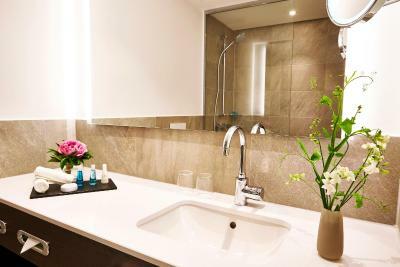 The hotel is very comfortable and good located to reach everything in the city center by foot. 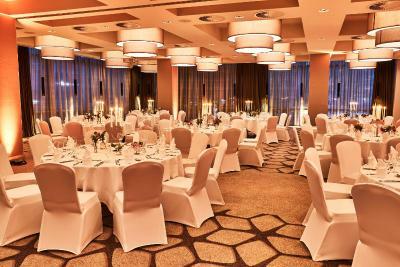 Sound proofing was not good - had to sleep with earplugs even after moving to a more quiet room - that is the downside of being very central in a popular night-life area. Building is tired. Friendly and competent staff. Great views, great breakfast. 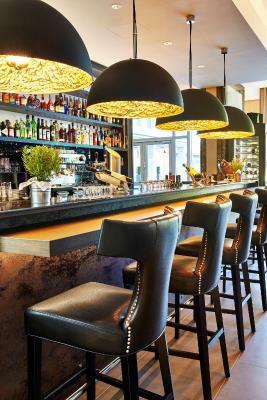 Popular bar area. Very well located. USB charge pints were great! A bit sterile, but perfectly fine. 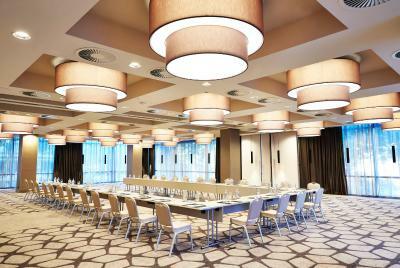 A good business hotel. Excellent staff, outstandingly comfortable bed, easy access to the historic center but in its own neighborhood. It was less quiet than expected. 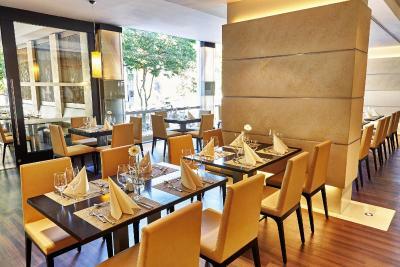 Excellent location - right next to a whole street full of restaurants and bars. Walking distance to most of the landmarks and public transport. The room was pretty spacious and we got one with a nice view over the city. Check-in was a breeze and we were in our room 5 mins after we arrived at the hotel. 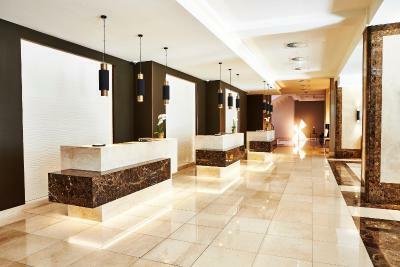 The hotel staff is very friendly and everyone we spoke to was able to give us information about the city. Would definitely stay again. Restaurant closes at 10, can't order food or drinks after to the room The pillows were not comfortable to be honest. The electronic shades were stuck and were working 100% in two rooms I used during my stay.